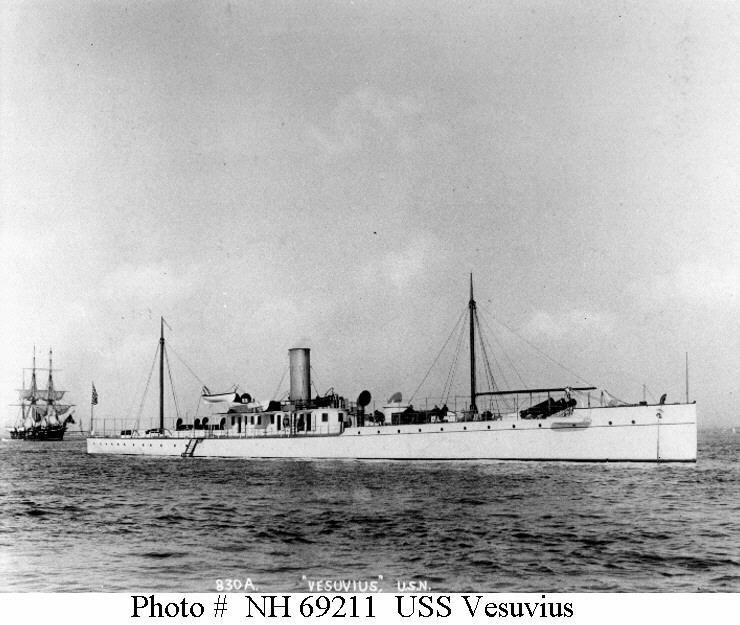 ↑USS Vesuvius. Photographed circa the early 1890s. The muzzles of her three pneumatic "dynamite" guns are visible below her foremast boom. U.S. Naval Historical Center Photograph. ↑Deck and Internal arrangements of Vesuvius showing the Pneumatic Guns and Air Tanks U.S. Naval Historical Center Vesuvius "Dictionary of American Naval Fighting Ships" Photograph.